After Dracula tells of films set in London music halls and Yorkshire coal mines, South Sea Islands and Hungarian modernist houses of horror, with narrators that survey the outskirts of contemporary Paris and travel back in time to ancient Egypt. Alison Peirse argues that Dracula (1931) has been canonised to the detriment of other innovative and original 1930s horror films in Europe and America. By casting out the deified vampire, she reveals a cycle of films made over the 1930s that straddle both the pre- and post-regulatory era of the Hays Production Code an stringent censorship from the British Board of Film Censors. These films are indepenedent and studio productions, literary adaptations, folktales and original screenplays, and include Werewolf of London, The Man Who Changed His Mind, Island of Lost Souls and Vampyr. 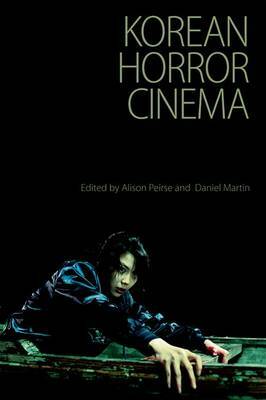 The book considers the horror genre's international evolution during this period, engaging with a number of European horror films that have hitherto received cursory attention. It focuses on the interplay between Continental, British and transatlantic contexts, and particularly on the intriguing, the obscure and the underrated. Buy After Dracula by Alison Peirse from Australia's Online Independent Bookstore, Boomerang Books. Senior Lecturer in Film and Television Studies at the University of Northumbria. She has published widely on horror film and is co-editor of Korean Horror Cinema (2013).